The new Logic Studio is finally here, but is Apple's music software all we hoped it would be? The rumours are true - Logic Studio is finally here! 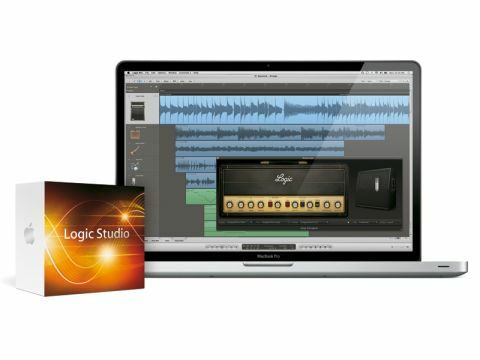 Although rumours of a new version of Logic Studio have been buzzing around Apple forums for the past six months, its sudden arrival has come as something of a surprise. There was a lot of talk of a beta version of the app that boasted "superior audio-editing features" and "a breathtaking range of new instruments and effects", so were any of these rumours actually true? Well, Logic Pro 9, the latest version of Apple's top-of-the-line music software program, and the main focal point of Logic Studio, does indeed boast some significant updates aimed at users interested in audio editing, music production, guitar recording and live performance. Logic Pro 9 introduces Flex Time, a new collection of features that enables you to manipulate timing and tempo quickly and intuitively. With the new Flex Tool you can push audio around with your mouse by clicking and dragging a waveform. You can use it to correct dodgy timing in an audio performance or 'quantize' the timing to a groove. There's also a Varispeed feature that allows you to slow down an entire multi-track project effortlessly – audio files and all – without changing the pitch. This is particularly useful if you want to record a challenging part at a more comfortable tempo that suits you. At the more professional end of the musical spectrum, Logic Pro 9 introduces a host of new production tools including: Selective Track Import, for transferring setups and track content between different projects; Drum Replacer, for replacing or doubling unsatisfactory drum tracks with triggered samples; Convert To Sampler Track, for turning an audio region into a sampler instrument with a MIDI track to trigger it; and Bounce In Place, which makes effects-rendering much quicker and far easier. And for guitarists, Logic Pro 9 introduces Amp Designer, a virtual guitar rig consisting of 25 amps, 25 virtual speaker cabinets and three virtual microphones. These can be freely mixed and matched according to taste, and a microphone's orientation and distance from the speaker cone can be adjusted. In addition, a virtual 'pedalboard' can be used to create many popular effects including overdrive, distortion, delay, flange and chorus. Hundreds of 'out of the can' presets are included. But, of course, Logic Studio isn't just about Logic Pro 9. It also includes two other major music applications: MainStage 2, a virtual live performance rig aimed at rehearsals and live gigs, and Soundtrack Pro 3, a multi-track audio studio for video production. MainStage 2 handily lets you use Logic's instruments and effects in a live context. The latest version now features two great new plug-ins called Playback (which provides musicians with a virtual backing band, allowing them to perform with pre-recorded audio), and Loopback (which allows musicians to record, layer and jam along with their own performances). Soundtrack Pro is for synchronising music scores to video. Version 3 adds new audio-editing tools including Voice Level Match, which corrects mismatched voice levels by extracting volume information from the vocal content of one clip and applying it to another. A new Advanced Time Stretch feature stretches and compresses audio with precision, while an enhanced File Editor includes new tools to make sophisticated edits and fine-tune volume adjustments. Installation of Logic Studio is straightforward, although it can take some time if you want to install all of the apps and required content (9GB) plus any additional content (up to 38GB!). It requires Mac OS X 10.5.7, which leaves all Panther and Tiger users out in the cold. Once launched, Logic Pro 9 looks reassuringly familiar, although you'll notice a few different buttons and minor cosmetic differences around the Arrange Window. The Flex Tool is a joy to use on out-of-time vocal tracks – you simply click on the audio region you want to edit, select the Flex Tool via the Tool button and click the beginning of a word to move its starting point to a desired location. A word or phrase can also be lengthened or shortened by dragging the mouse. The Auto Quantize feature is a useful tool too, making it easy to synchronise material that would previously have been unsyncable to your track. The guitar amps and effects sound authentic and sit well in a mix. And Logic's regular instruments and effects are all present and performing well – in fact, the EXS24 sampler now loads presets at a lightning-fast speed. None of our Audio Unit instruments (AUs) was affected by the program. Mainstage 2 and Soundtrack Pro 3 are both useful and easy to use.